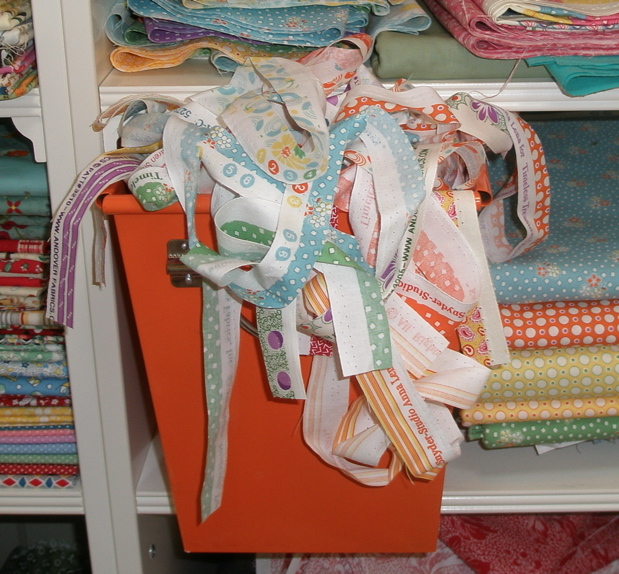 I’ve been saving the selvages from my fabrics and I’m getting quite a bin full. 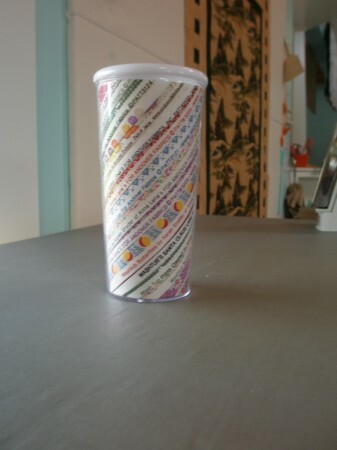 A long time ago I made this fun Quilt In A Cup, but I haven’t done anything else–until now! It’s really fun to see my name and Anna Lena’s on the selvages. I’ve been wanting to do something with them, but it seems like there’s never time for a project that isn’t FOR something–to support a fabric line, for a class, for a book. So, a few days ago, I decided to heck with everything else, I’m making something with my selvages! 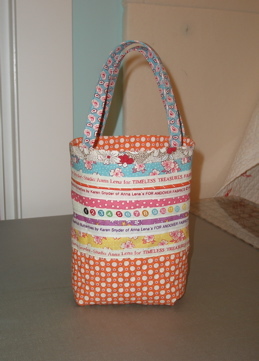 The result is this little bag. It was more of an experiment than a real project, and I’d do some things differently if I did it again. 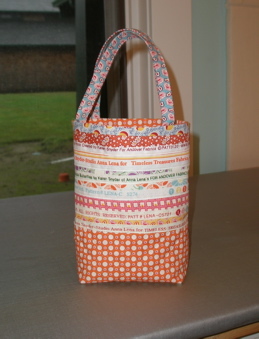 But it’s kind of cute and I did learn a cool thing when quilting the orange polka dot fabric for the bottom. If you look at the polka dots just right, they make a perfect diagonal line! So, I sat down at my Elna and just followed every other line of dots to do my grid quilting, and it worked perfectly. I think you can see it better from the back. I’m going to remember that for a future project!